Fitness and nutrition specialist, Harley Pasternak is convinced that you don't have to kill yourself at the gym, or even go to the gym, to get into healthy shape-- a pretty bold statement coming from the trainer who has worked with a number of celebrities including Lady Gaga, Rihanna, Halle Berry, Katy Perry, and Megan Fox. Remember when Jessica got her body back into amazing shape post-pregnancy? That was Harley. Pasternak insists that the success of his clients all comes from whether or not they have completed the following thing tasks daily-- something which he has them email him every night before bed. Did you hit 10k steps today? People who hit 10k steps a daily (without added gym sessions) lose 3x as much weight as people who do high intensity cardio 3x/week. Pasternak and Khloe Kardashian are working on a show about women who want "Revenge Bodies" after a break up-- he said for the first month he wouldn't let them set foot in a gym and during that time they ALL hit their 3 month weight loss goals just by walking at least 10K steps/day. Did you get at least 7 hours of sleep? When you don't sleep enough you eat more, burn less body fat, store body fat, and have reduced cortisol which makes you less happy. Did you unplug for at least 1 hour today? The blue light emitted from cell phones makes us hungrier, crave carbs, and messes with our sleep patterns. Did you eat protein and fiber at least 5 times today? In terms of diet, Pasternak suggests you eat protein and fiber 5x/day split into 3 meals and 2 snacks. Meals must have protein the mass of your hand, unlimited veggies, and a palm full of full either grain/high fiber fruit with edible skin or seeds/legumes/ sweet potatoes. Healthy fat daily should be the mass of your thumb: avocado, nuts etc. Snacks should have at least two of the above groups and be 1/3 the size of a meal. Ex: Veggies and hummus or apple and almonds. Did you do at least 5 min of resistance exercise? Pick a different exercise each day of week switching up targeted body parts. You get lean in life and strong in the gym. None of my clients, some of the most beautiful people and bodies in the world, work as hard as you think you do. You don't have to push yourself to nausea doing wind sprints. Most importantly, hold yourself accountable, take pictures on your phone of what you eat and keep track of whether or not you are doing these 5 tasks daily. Pasternak spoke at the SHAPE Magazine Body Shop LA Event on June 18 in Los Angeles. The daylong event was a partnership with the Movemeant Foundation, an organization which funds health and fitness programs for young women. 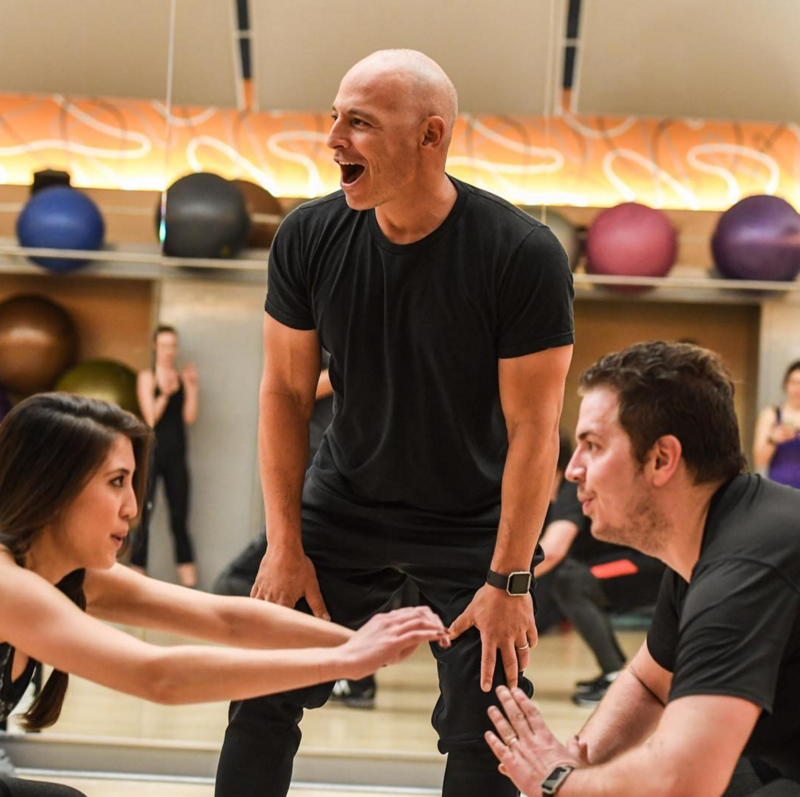 You can read more about Harley Pasternak's training philosophy in his book, 5-Factor Fitness: The Diet and Fitness Secret of Hollywood's A-List, and you can see find this article in its original posting at The Brite Stuff Blog.